Need a Measure, Design and Quote? It’s FREE! Call us on 0420 361 450, we’ll arrange for one of our experienced design team to visit and start planning your new project. Just enter your request details in our form and we’ll get back with you within 24 hours. We respect your privacy and will not sell or share your contact details to anyone. Not in Perth or Surrounding Suburbs? 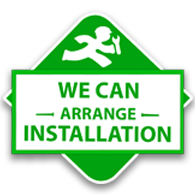 We’re happy to arrange an on-site visit and free quote anywhere in WA. When comparing quotes, make sure that you are receiving quotes for the same style of Patio/Car port with similar quality and size of materials. If you find that one quote is considerably cheaper than the others you may wish to check whether you are being offered the same quality product and materials. We are more than happy to answer any questions if there is something you are unsure of. How do i get a quote and is there a charge for it ? Book an appointment for your free measure and quote and we will get a quote back to you in 24 to 48 business hours. If you know what type of Patio, colours measurements you would like please advise us at time of booking or email so we can give you a more accurate quote. There is no charge for initial quotes and we can provide you with engineering drawings and shire approval included in patio build.